While the more obvious assets—the family home, bank balances, etc.—are obviously equitably distributed in the instance of divorce, many people do not realize that there are other assets—sometimes very valuable assets—that can often be overlooked, and can result in inequity. This is one reason why it is crucial that you and your attorney, at a minimum, obtain a Case Information Statement. One of those valuable assets includes miles accumulated on credit cards. 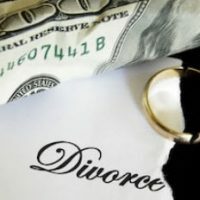 As divorce attorneys, we frequently see instances where one individual was able to accumulate significant miles by using their personal credit for work purposes and obtaining reimbursement from their employer. While this may seem minimal and unimportant, in fact, these miles can translate to significant financial resources, and even affect one parent’s ability to take the couple’s children on vacations. This issue is only exacerbated when that same individual also has a significantly higher income, as that affects credit card limits, which can then lead more miles being earned, etc. Miles earned during the marriage are marital assets, and are thus subject to equitable division. Therefore, yu and your attorney should make sure that you are compiling and keeping a history of miles accumulated and their use in preparing your case, as these miles must be accounted for in balancing equities, and with good reason; for example, if one child attends college far away, having a lot of miles can affect the ability for one parent to travel to that child and thus spend more time with them. How difficult is it to determine the value of accumulated miles in divorce? Some miles programs (such as Capital One) assign actual dollar ratios to miles, while others have a system based more on a running tally that corresponds to being able to travel a certain distance for free. Keep in mind that, if it is extremely difficult to assign value to the miles, it is possible for the court to balance out one person getting the miles by giving the other person other marital property. Other assets that we often see overlooked—perhaps because people just assume that they are separate property—are timeshares. However, like miles, these are important assets that affect quality of life, especially when it comes to being able to provide certain benefits for the family. Finally, keep in mind that there are often employment benefits beyond retirement accounts that should be taken into account, such as insurance benefits for life, as well as family loans that must be addressed in the same way that every other debt incurred during the marriage is. When it comes to going through divorce, you don’t just want to work with any family law attorney—you want to work with a firm that focuses on divorce and family law, and has significant experience in working with individuals and ensuring that their best interests are represented. Contact our Orlando divorce attorneys at the Arwani Law Firm, PLLC today to find out more about our services for clients in Florida.